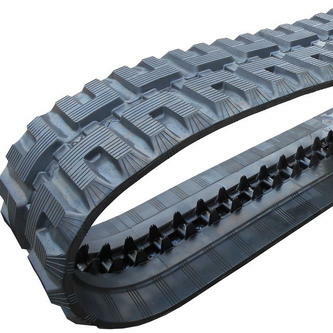 Rubber tracks intended for mini-excavators and excavators are very significant and costly item needed. Careful and protected use of your rubber tracks can save it from cracks as well as wear and tear, on its surfaces. This article will provide you easy and effective maintenance tips to keep your tracks in the best condition. Manufacturers from time to time come with improved design and maintaining tips to help equipment easy to maintain. One of the maintenance tips is to use good quality and recommended parts as per the design specification of the track. Sometimes installing low quality and poor parts may hamper the overall quality and functioning of your truck. So always go for branded parts and a dealer who is authorized in providing them, as per the specification of your truck. This will keep your equipment in the best condition for a long time. If you notice any damaging signs on your undercarriage parts, then replace them quickly. One of these damage signs are worn sprocket teeth. It can damage your track by pulling out the links from tracks. You need to clean and wash the undercarriage by using a pressure cleaner. The amount of tension is dependent on the size of machines. Where an excessive tension can break it, a loose track can wear the cleats. So, optimum amount of tension is required by the machines. Repair Loader is a leading worldwide provider of repair and user manual. It offers expert repair and maintenance services for a wide range of equipment intended for industrial and agricultural use such as tractors, excavators, forklifts, loaders, utility vehicles, etc. When you drive over curbs, it exerts excessive stress on tracks which can ultimately lead to de-tracking. If the tracks remain stationary at their own place, then it will create stress that in turn leads to cracks in the rubber. Sharp objects can puncture your rubber tracks. These objects should be avoided at all costs. Debris, tiny pebbles, etc. can cause the rubber surface to damage and slice off. This hampers the effectiveness of the track and damages the inner steel cords. If you value durable tracks that remain unaffected by extreme weather conditions, then steel tracks can be the best deal. Chemicals, salt, oil and manure can cause severe damage and deterioration on a set of rubber tracks. Thus you should avoid such elements at all costs. Presence of hydraulic oil and grease can also cause dripping from the machine onto the rubber tracks. In those circumstances when your track has got exposed to such materials, you should rinse them quickly. Though rubber tracks serve many benefits but can get damaged when not used in a safe and intended way. Maintenance is as necessary as the operation of the track. In addition to performing quality maintenance services, it is also very important for operators to learn and educate themselves about their equipment and how to ensure best permissible use of it.